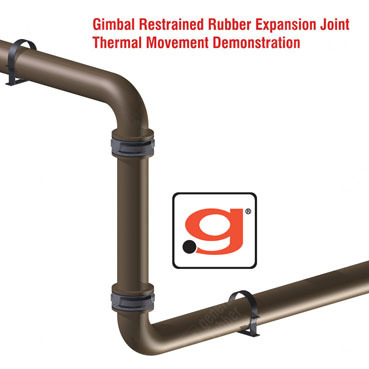 General Rubber provides service to Engineering, Procurement and Construction (EPC) firms and new construction market sectors by focusing on utilizing our best piping practice and optimization (BPPO) program. We deploy our engineering experience and advanced products through BPPO and work with EPCs in all phases of design and implementation. During the engineering phase, we work with the EPC to optimize the piping system. This includes, but is not limited to, reducing material and construction costs, as well as the system footprint. We also provide detailed guideline specifications to ensure safe and reliable expansion joints will be specified. Occasionally, offset expansion joints are needed during the construction phase due to excessive pipe misalignments. We are a leader in manufacturing custom products, and work with EPCs as well as general contractors to deliver custom solutions. To learn more about our BPPO program, our guideline specifications, or to work with us on a new project, please contact us.